It’s worth noting that the Shanghai Tower has pushed Chicago’s Sears Tower, now known as the Willis Tower, off the list of 10 tallest buildings in the world. 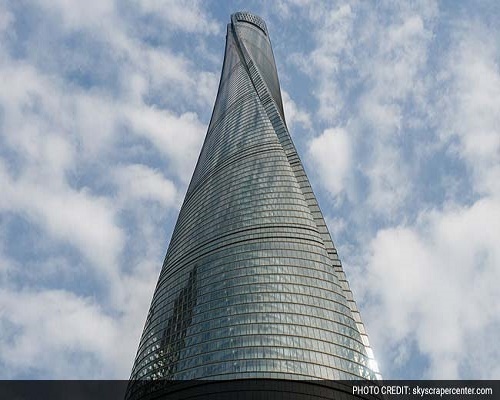 The Shanghai Tower in China was officially crowned the second-tallest building in the world last week. The same day, as if on cue, the country’s stock market had tanked. Shanghai Tower is not just a skyscraper. It’s a “mega-tall” building — yes, that’s a technical word — that stands more than 2,000 feet high, a spiraling steel spire with 106 elevators and indoor sky gardens. The building is a testament to China’s rapid transformation into a global economic superpower as well as a symbol of its lofty ambitions for the future. It’s worth noting that the Shanghai Tower has pushed Chicago’s Sears Tower, now known as the Willis Tower, off the list of 10 tallest buildings in the world. The Sears Tower reigned supreme for more than two decades after it was built in 1973. But the title was lost in 1996 to the Petronas Towers in Malaysia. Now, America claims only one of the top 10 — One World Trade Center in fourth place — while Asia and the Middle East boast the rest. But does pride go before a fall? That’s the theory at least behind what’s known as the “skyscraper index.” Andrew Lawrence, an economist at a British investment bank, posited in 1999 that the massive buildings were the product of overheated economies that quickly went bust. The Sears Tower was built just as the U.S. entered the paradox of stagflation. And as Malaysia stole the title of world’s tallest building, it was being engulfed by the Asian financial crisis. Looking back in history, the Chrysler and Empire State buildings were completed one year into the Great Depression. Lawrence has extended his analysis from the 1800s to the 2010 anointment of the current title holder, the Burj Khalifa in Dubai, and found that the correlation still holds. So perhaps it was inevitable that on the same day that China rose to second place, the stock market plunged 7 percent in half an hour, causing trading to shut down for the rest of the day. After years of breakneck growth, the country’s economy is slowing down — and many investors are worried that the Asian powerhouse is in for a crash landing. “Skyscrapers seem to mark a very large economic boom that typically ends in large recession. And they tend to be associated with bigger economic cycles. They [skyscrapers] seem to start in upswing and finish the recession. The unhealthy part is they tend to mark the top of the cycle,” Lawrence said in an interview with the Council on Tall Buildings and Urban Habitats. Still, recent research suggests that skyscrapers are not necessarily omens of doom. The Economist points out that researchers at Rutgers University tested whether the announcement and completion dates of the world’s tallest buildings could be used to predict economic expansions and contractions. They found no relation. As the debate rages, China is constructing another soaring skyscraper, the Ping An Finance Center in Shenzhen. The building is scheduled to be completed this year and is expected to bump the Shanghai Tower from second place. What happens to the economy will decide whether it becomes a symbol of triumph or defeat.